Isaac Anoom is also Mr Numbervator, a fresh-faced, exciting character who simply makes you want to learn about maths and, more importantly, makes sure that you enjoy learning. The enjoyment factor comes from the way he presents maths and number combining his presentation with active engagement, pace and bounce, so that achievement is maximised and success is real. 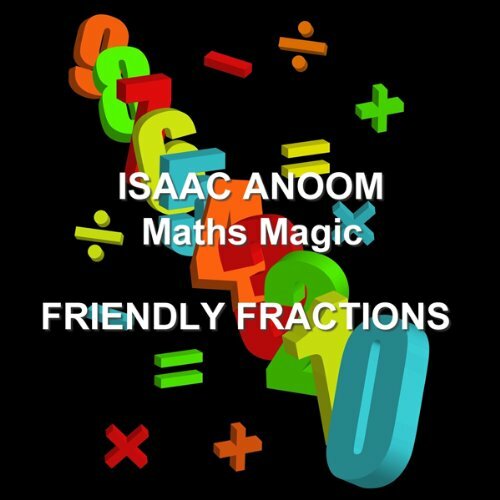 Isaac Anoom also writes and presents maths educational programmes for the BBC and Teachers TV as well as teaching in schools to both children and teachers. So, if you find maths difficult, sometimes boring, never get good grades, Isaac through Maths Magic will change all of that. You will lose the fear, raise your achievement, be the envy of your peers, impress and amaze your teachers, and ultimately get the good grades you've been after, thought you could never get and ignite the maths passion in you. Good luck! In this programme Isaac explains how to work out and use fractions in simple sure fire ways.